Chocks are a #1 must-have. They’re placed at the front and back of at least one tire (preferably both, especially on sloped or uneven terrain) to keep the Casita from rolling when hitching, unhitching and camped. Purchase sturdy chocks that have a solid or reinforced center. Otherwise, they’ll sink in soft ground or the trailer could roll over them. Black rubber chocks are recommended for their sturdiness and weight. They don't move once they're down, and neither does the Casita. Plastic chocks are sufficient on most all flat surfaces but may not provide a sufficient level of comfort when camped on an uneven surface. They need to be tapped into place with a rubber mallet so they’re tight to the tire or they'll wind up in the next campsite after a heavy windstorm. When unhitching, you’ll need something at the bottom of your tongue jack that offers stability to the trailer. A Jack Foot is the way to go. It’s shown here resting on capped leveler blocks but it’ll work on a stack of boards, too. You can leave it attached when you raise the jack. ABOUT THE JACK WHEEL (CASTER): The Casita jack wheel is not intended for use when camping. Over time, they’ve been known deteriorate and collapse. 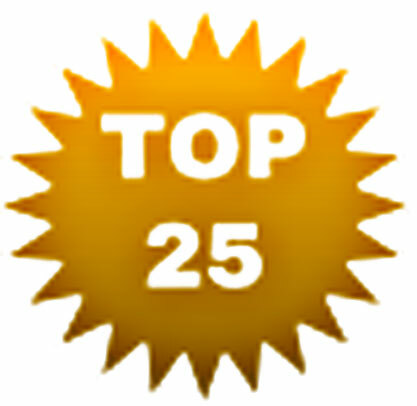 Plus, it can present safety issues on sloped or uneven campsites. Use it only when you need to move the trailer on paved level surfaces. 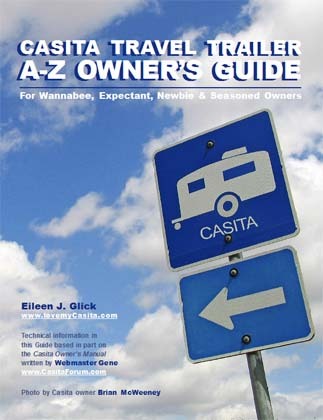 But be sure to carry it with you when you travel in the event the Casita needs to be pulled onto a tow truck bed.